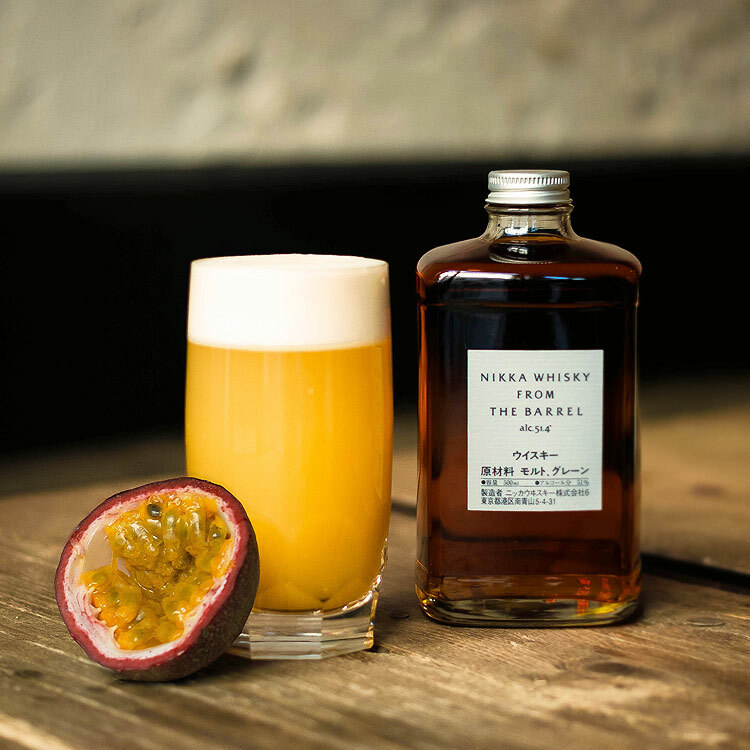 Twist of the Morning Glory Fizz, a classic restorative cocktail, the Asagao – Japanese translation for Morning Glory – brings an exotic touch with the addition of fresh passion fruit. Shake all ingredients except for the sparkling water with ice. Strain into a highball without ice. Slowly fill to the top with sparkling water.